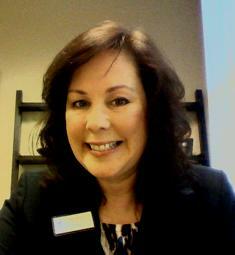 Experienced Vancouver WA Based Real Estate Agents (Brokers) / Realtors. Providing You Vancouver's Complete Website for Homes, Condos and Real Estate For Sale! Listing Your Home or Property: You'll be hiring a team where more than one Realtor is an expert on the features of your home / property; in addition to receiving an All-In On-Line Marketing Campaign; with more traditional marketing elements as well. Buying Your Next Home: With fewer homes and properties to choose from; combined with more buyers to compete with; you'll be working with a team of experience Buyer's Agents (now officially called Brokers) that will customize a property search plan that fits your requirements and finacial capabilities. 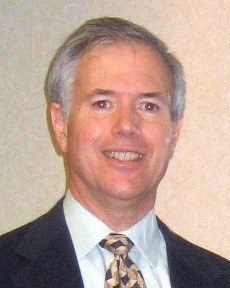 John Slocum - is an active Listing Broker, with strong experience with "Normal Sale" homes and Short Sales. Growing up on 12 acres in formerly rural Felida along Salmon Creek, Acreage and Waterfront Property is a niche we work. I also worked in Downtown Vancouver for 10 years with Pacific Telecom, and always enjoy helping with the Condos, either Downtown Condos or Waterfront Condos. Kathryn Alexander - is Passionate about ensuring your home or property is marketed in its best light. Selling your home is accomplished with with a high level of professional expertise, and as much fun as allowed for! Buying your Home is also another important mission that Kathryn will help you with, working hard to ensure the process is well understood with an excellent final result. As in any professional industry, it is important to stay current by obtaining education and specilized credentials. The Short Sale and Forclosure Resource (SFR) Designation is specialized training to help distressed property owners and home sellers navigate the complicated path to a Short Sale, and avoid Foreclosure of their home. Both Kathryn and John have taken this training, and John is a Designee. The 203k Specialist Designation is focused on the FHA 203k Renovation Loan, with training sponsored by the RebuildUSA organization. The FHA Renovation Loan is an excellent way to purchase a fixer home, allowing you to borrow both the funds to purchase the home AND the funds to perform the renovation and updates right away. Both Kathryn and John are Designees. John is a graduate of Western Washington University, Bellingham WA - with a double major in Economics / Mathematics from the College of Business and Economics. There is no doubt that a good dose of marketing from this program has been of great benefit in helping our home sellers market their homes. The Business Presenter's Workshops in Vancouver Washington. John is a graduate of the Workshop, and enjoys giving brief conversational-style talks on real estate or other topics; and also participates in the weekly Business Presenter's Club. Vancouver WA Homes For Sale are some of the best deals in real estate today! Let John Slocum and Kathryn Alexander of Real Estate in Vancouver WA guide your successful purchase or home sale!